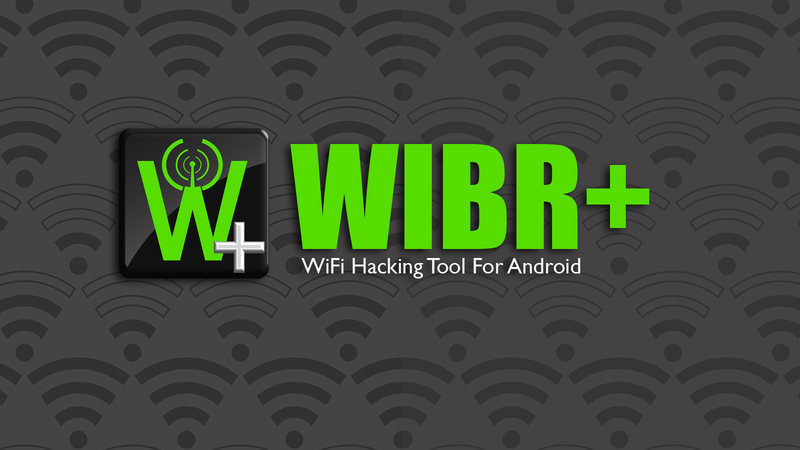 WIBR+ is an android app that is capable of cracking WiFi passwords. It was designed to test the security of the WPA/WPA2 PSK WiFi networks, but now it is widely being used to crack weak WiFi passwords. It supports two types of attacks -- Dictionary Attacks, and Bruteforce Attacks. And it supports custom dictionaries! If you don't know anything about Dictionary and Bruteforce attacks, check out the following Wikipedia articles (You don't have to read the entire article, just read the first two paragraphs). First, download and install WIBR+ on your android device (download links are at the end of this article). Open the app, you will see a screen as shown below. Tap on "ADD NETWORK", you will see the nearest WiFi networks. Select a WiFi network from the list, then you will see a screen as shown below. Now select the type of attack. 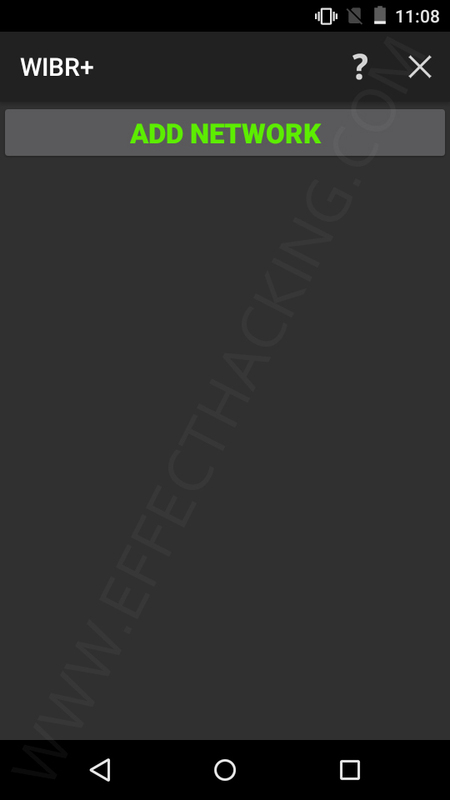 If you want to use the Bruteforce attack, select "Bruteforce", and then tap on "CONFIGURE BRUTEFORCE". Then configure the attack according to your needs. For a normal attack, select the first four options (lowercase, UPPERCASE, Numbers, and Specials) and then save the configuration. Now click on "ADD TO QUEUE", the WIBR+ will start cracking the password. Yes.... because, the number of combinations is growing exponentially with password length. That's why there are options like Custom alphabet and Custom mask. If you know that the password is something like admin and two digits, you can set the mask to admin[x][x] and select the digits alphabet. The app will try all passwords like admin00, admin01 through admin99. 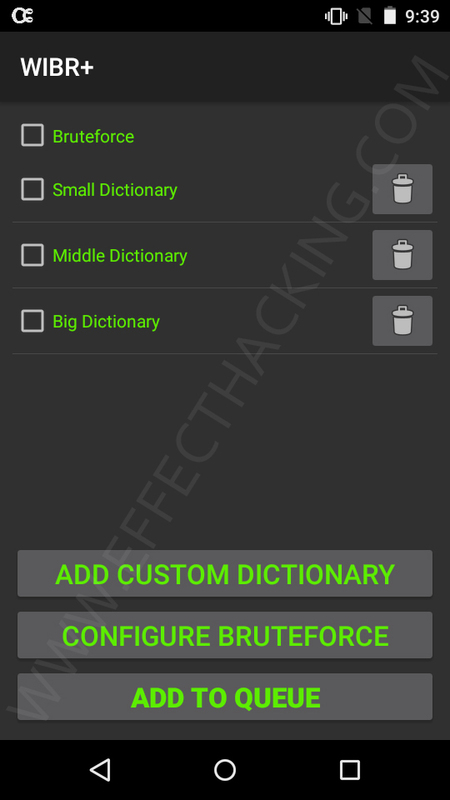 If you want to use the Dictionary attack, after selecting a network, select dictionaries, if you don't want to use the pre-installed dictionaries, you can use custom dictionaries, all you have to do is, click on the "ADD CUSTOM DICTIONARY" button and select your custom dictionary file(s). Note: Dictionary files are just text files containing a list of passwords (one password per line). The attacking process is very slow because of the way android handles WiFi connection. According to the developers, 8 passwords/minute is a good speed. Tip: WIBR+ is a battery eater, so always carry a Power Bank with you! you are trying to access a network that is using MAC filtering (only explicitly allowed devices could access that network). you don't have enough patience :). No it doesn't require root access. It doesn't hack my password plz help me. 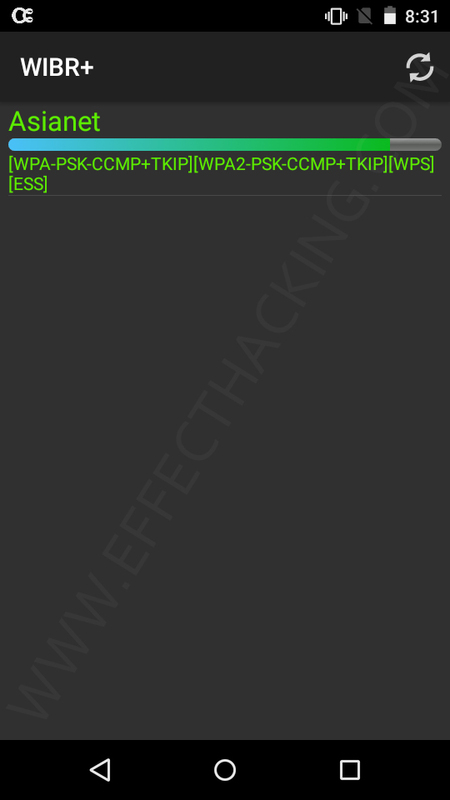 do it work on a rooted phone?? ?